An uphiller follows the designated route at Buttermilk/Tiehack. The ski area will host the Uphill Ascent event Saturday. 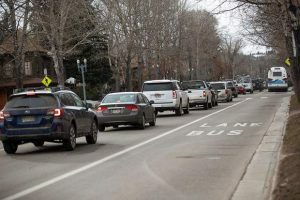 Mayor Steve Skadron’s vision for Aspen to become the epicenter of an uphill fitness economy is reaching new heights as elected officials Monday night will consider hiring a consultant for $75,000 to further the effort. Frisco-based SE Group has been selected to develop what’s being called a “Rec. Plan,” which is the next step in an initiative that’s been forging ahead in City Hall for the past four years. 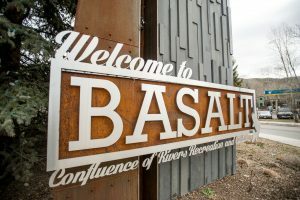 Skadron believes there is an opportunity for Aspen to build itself as a year-round uphill recreation economy. That includes everything from hosting festivals, endurance races and related events to having ski mountaineering and other outdoor companies based here. The idea is to create a job ecosystem in an industry that can stretch as far as Grand Junction, where product development and testing is a good fit for the region, Skadron said. 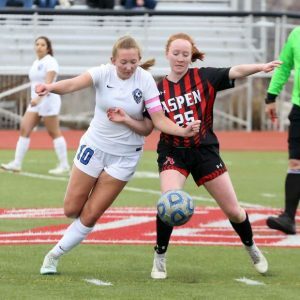 No longer would the Western Slope have to rely as heavily on the natural gas industry, and Aspen’s economy has room to diversify, too, he added. “My grand vision was not about festivals but an attempt to lay the foundation to diversify the economy from a boom-and-bust real estate cycle,” he said. Aspen is in many ways already a big player in the “skimo” culture, playing host to some of the most challenging races in North America — the Power of Four and the Grand Traverse. Local outdoor gear companies have established themselves here in recent years, and the Aspen Skiing Co. is embracing the culture by allowing uphill skinning on its mountains. The company regularly opens the Cliffhouse restaurant on top of Buttermilk Mountain to nighttime skinners. Skadron said he hopes to continue building the momentum. “It’s about creating the critical mass locally,” he said. The contract with SE Group is designed to take the local uphilling possibilities to the next level. 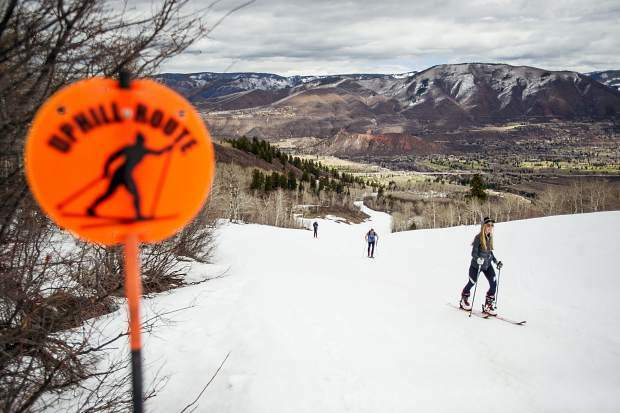 If Aspen City Council approves the contract tonight, the consulting firm will develop a plan that provides recommendations, goals and policies for various forms of uphill recreation, whether it’s skiing, backcountry touring, hiking or mountain biking. It will be based upon an uphill economic development plan that was developed in 2016. The Rec. Plan is intended to provide a blueprint for the long-term success of the uphill economy, according to the city’s request for proposals in seeking a consultant. Since then, Skadron has been communicating with ski manufacturers including Dynafit and Scarpa, as well as Gov. John Hickenlooper’s Office for Economic Development and International Trade. Skadron said he was in the governor’s Grand Junction office last month discussing economic development on the Western Slope, with the uphill economy as the underpinning. 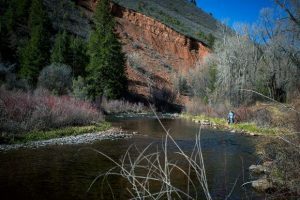 “They are excited about it,” he said, referring to the industry’s region as the “golden triangle” — from Aspen to Grand Junction. SE Group will be charged with studying existing and proposed infrastructure, trails, environmental conditions, federal land-management plans and public and private land-management policies for the basis of the city’s uphill recreation economy. The Rec. Plan also will inventory and map existing conditions of uphill-related “assets” in the upper valley that support the vision. The team will map out “zones” that have different levels of intensity for uphill recreation and what’s appropriate in terms of infrastructure. The city has received a $25,000 grant from the Department of Local Affairs that will fund one third of the project cost, according to Phillip Supino, the city’s long-range planner. SE Group’s work plan estimates that it will have a final uphill plan complete in June 2019. Skadron said a symposium is being planned in Aspen in December with industry and elected leaders from across the region to discuss what an uphill economy might look like.